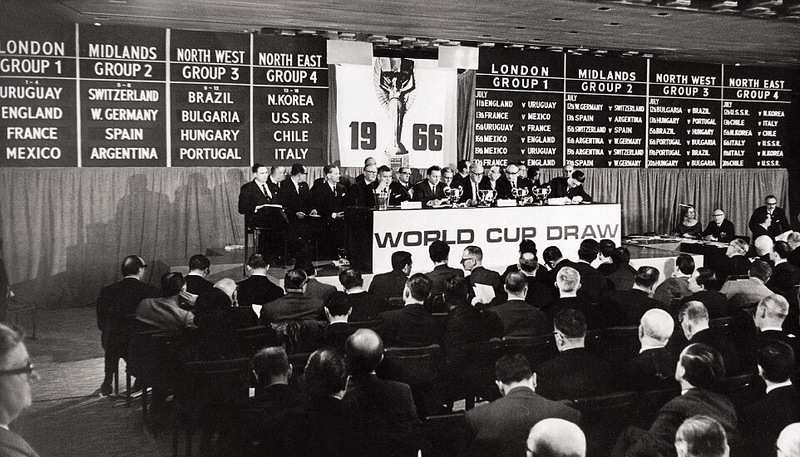 This week marks the 50th anniversary of the 1966 World Cup draw taking place. The occasion saw England given a favourable draw as hopes grew for what might be achieved in the summer. The first week of 1966 proved a big one in the build-up to the World Cup finals in England six months later. The Jules Rimet trophy was handed over by holders Brazil to remain in England until after the tournament- potentially staying here for another four years if England could triumph. Harry Miller wrote in the Daily Mirror that the trophy had been “brought into Britain under strict security precautions” and was insured for £2,500, with it being locked away in the safe of a London hotel. Surely nothing could possibly go wrong concerning the trophy being securely looked after in the coming months?! 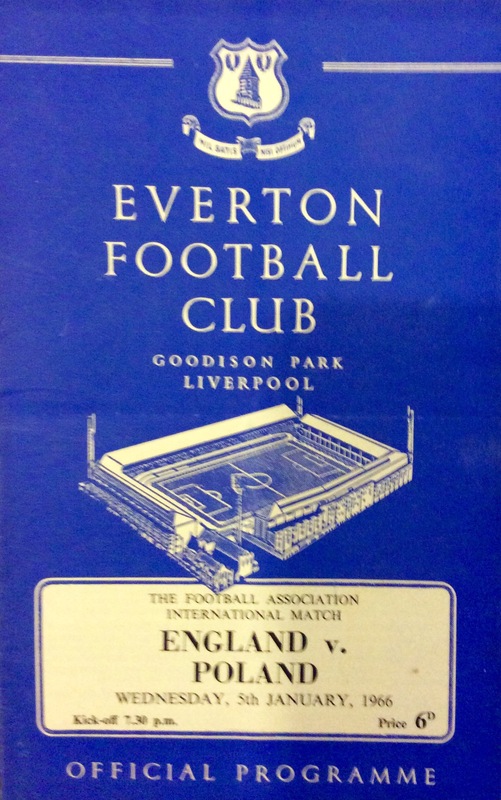 On Wednesday, January 5, England played their earliest ever match in a calendar year when they welcomed Poland to a muddy Goodison Park for a friendly. If the hope was that foreign delegates visiting for the World Cup draw would go home fearful of how good England looked, then it backfired. It took an equaliser from captain Bobby Moore to salvage a 1-1 draw for England against a side who had failed to qualify for the World Cup. However, manager Alf Ramsey remained positive. “In the conditions I think this was an extremely good performance,” he said afterwards. England started 1966 with a 1-1 draw against Poland, on the eve of the World Cup draw. But the week’s key event was to be the World Cup draw on the evening of January 6, an event televised for the first time and screened live by the BBC. More than five years had passed since England were selected as hosts and now they could finally start to plan for the opposition they would face on home soil. FIFA’s English president Sir Stanley Rous was in charge of proceedings at the Royal Garden Hotel in London. Bar the odd motormouth, football people are nearly always diplomatic after a draw is made and refuse to make outspoken comments that could come back and bite them on the backside. Captain Moore though made it pretty clear he felt England had landed a desired group. “It’s a great draw for us. Everyone in the country should be delighted,” he told the media. Although England had lost 5-2 to France in Alf Ramsey’s first match as manager in 1963 and Uruguay had won the World Cup as recently as 1950, they were considered more beatable opponents than some Ramsey’s men could have faced. As World Cup hosts in 1970, Mexico would look to make an impression in England but they had been thrashed 8-0 at Wembley in 1961 and were one of the outsiders. The other positive was England’s quarter-final – assuming they got there – would see them kept apart from highly-rated nations including Brazil, Portugal and USSR, who were in the other half of the draw. Group Two – which would provide the quarter-final opponents for Group One’s winner and runner-up – looks incredibly strong by today’s standards, with West Germany, Argentina and Spain all involved along with Switzerland. However, the general consensus at the time was England could feel satisfied at meeting any of them in the last eight compared to what they could have landed. Group Three looked arguably the strongest of the four groups, containing 1958 and 1962 winners Brazil, an emerging Portugal and Eastern European sides Hungary and Bulgaria. Completing the draw was Group Four, with USSR and Italy joined by the unfancied North Korea and Chile. A subplot to this draw was Chile and Italy would meet again four years after their infamous Battle of Santiago clash at the 1962 finals. The Times’ correspondent nailed their colours to the mast on who they believed would advance, but they would not get everything right. “Group Two would seem to belong to Argentina” (they finished second); Brazil “should take Group Three in a trot” (they went out in the group stage); and it was going to be a case of “Italy and Russia taking things in their stride” in Group Four (USSR progressed but Italy crashed out after embarrassingly losing to North Korea).